THIS WEEK IS the 54th anniversary of the Selma march, in which Jewish religious leaders and activists joined with Dr. Martin Luther King, Jr. to demand the right for African Americans to vote in the Jim Crow South. But few are celebrating. The recent accusations of antisemitism directed at Rep. Ilhan Omar are only the latest indicator that the illusory Black-Jewish alliance is dissipating, leaving apathy and hostility in its wake. Since the Civil Rights Movement, the Black and Jewish communities of the United States have theoretically built and sustained a natural alliance against bigotry and discrimination. But in practice, this relationship has been fraught with denial about the reality of racism in America, and its inadequacies have never seemed more obvious. And yet, the death of the so-called “Black-Jewish alliance” could be a positive and necessary development in the quest for true solidarity. At the very least, the faulty expectations and assumptions that have plagued it from the beginning would die with it. The alliance started with the best of intentions. During the early to mid 20th century, many white American Jews felt a palpable connection to the Black community, one built upon similarities they observed between their respective histories and their status as minorities outside the white Protestant mainstream. Jews understood that the struggle against racist and discriminatory laws was something in which they had a personal stake. As a result, Jews were significantly overrepresented among white supporters of the Civil Rights Movement. African Americans also drew comfort and solidarity from this arrangement. The alliance built on a long tradition, dating back to slavery, of Black Americans turning to biblical accounts of the persecution and enslavement of the Hebrews for strength. To this day, many Black and Jewish communities commemorate during the Jewish holiday of Passover, although of course that history is much more recent for African Americans. But despite these connections, Black people could clearly observe the inequalities between their own social condition and that of white Jews. The majority of Jews—90% of whom, according to the Pew Research Center—have always enjoyed greater acceptance into the white American mainstream than Black Americans. America never denied white Jews the right to vote, and Jews in the US have always enjoyed greater access than Black Americans to education, commerce, and public life, notwithstanding the discrimination that many white Jews experienced. Even in the Jim Crow South, Jews with European ancestry were always legally classified as white and enjoyed the benefits of that classification. Despite enjoying legal equality, Jews were still kept outside the mainstream for much of American history. One consequence of their marginalization was that Jews were steered into certain career paths and barred from certain schools in the first half of the 20th century, and due to real estate restrictions, Jews and Black people often lived in the same neighborhoods. The paradoxical combination of white privilege and marginality meant that Jews often found themselves in intimate and unequal dynamics with their Black neighbors, which then reinforced stereotypical roles between Jews and Black people: landlord and tenant, shop owner and customer, lawyer and defendant, and so on. To the contrary, the Dr. King that AJC leaders worked with on civil rights and other pressing issues, in the 1960s, was a staunch friend of Israel (and the mainstream Jewish community). I can’t help but wonder how Dr. King would have reacted to such a piece that seeks to shamelessly exploit his memory—and hijack his legacy—by turning an outspoken friend of Israel into a would-be moral cudgel against the world’s only Jewish-majority country. My guess is he would have been appalled. These defensive comments from white Jews, while common, are wildly unhelpful. In her book White Fragility, Robin DiAngelo argues that responding to criticism or concerns of racism with responses like “I marched in the sixties” is an act of racial aggression. Nonetheless, it is one that is constantly deployed against Black leaders and scholars, especially those who advocate for Palestinian rights, demonstrating the continued inability of white Jewish Americans to reflect on race and power dynamics. The list of Black public figures who have clashed with the Jewish community in recent years over incidents large and small is long. In addition to Omar and Alexander, it includes Angela Davis, Louis Farrakhan, Tamika Mallory, Jay-Z, Trayon White, Marc Lamont Hill, 21 Savage and LeBron James, Alice Walker, and even Barack Obama. Some of these figures expressed unambiguously antisemitic sentiments, while others were smeared and demonized for sloppy but well-meaning remarks, or for criticism of Israel. But for Black people, the distinction between good faith and bad faith attacks barely registers when our community is in the crossfire. And the unwillingness of many white Jews to parse one from the other is a source of ongoing hurt and misunderstanding. I remember each of these incidents and their ensuing backlash in vivid detail. These events have the greatest impact on Black Jews like me, because we are inundated with contradictory perspectives, and forced to take sides. It’s a horrible cycle that leads to exhaustion, mental distress, spiritual isolation, and—most painful of all—fractured relationships with loved ones. I talk to Black Jews every day, and almost all of them have described a frightening and discomforting alienation within their own communities. Some have bluntly told me that they believe there will be a massive split between Black Jews and white Jews. Others have expressed plans to create separate communities. Of course, Jews of all races have reason to be anxious right now. Since Donald Trump’s rise, antisemitic dogwhistles have become increasingly frequent among Republican elected officials; the Supreme Court has allowed adoption agencies to turn away Jewish couples; and last fall, a white supremacist gunman killed 11 people at the Tree of Life synagogue in Pittsburgh. Every day, Jews endure mockery, microaggressions, and hate crimes because of their identity, notwithstanding the white privilege a majority of them enjoy. But with alarming frequency, right-wing politicians have found that they can conflate concerns about antisemitism with white fragility, thereby weaponizing one marginalized group against another and exacerbating mutual distrust in an endless, hellish cycle. And so I believe that the only way to fix the Black-Jewish alliance is to destroy it. Notto destroy the desire for understanding and solidarity, but to completely dismantle the expectations and assumptions we attach to these two groups. 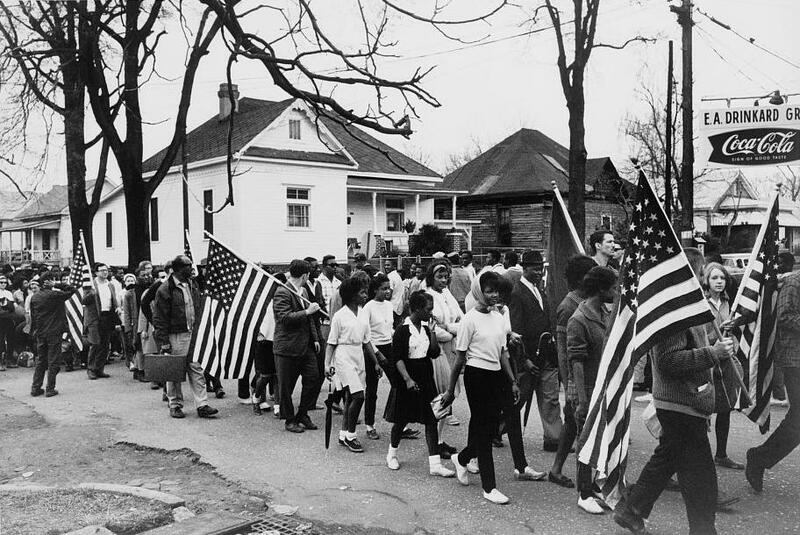 We need to destroy the idea that Black people owe white Jewish people support because some Jews marched with MLK more than half a century ago; that white Jewish people are any less susceptible to internalizing racism than any other white people; that to be Black means to be non-Jewish, to be Jewish means to be white, and to be a Jew of color means not to exist. We have to recognize that Jews of color can provide urgently needed context and insight on issues of antisemitism and racism. For too long, we have valorized white Jews and patronized Black people in ways that have resulted in pain, rage, and miscommunication. But without the hard work of mutual respect, our communities will never come together. There are no natural alliances. Alliances must be built, earned, and maintained. Nylah Burton resides in Denver; she has bylines in The Forward, ESSENCE, and New York Magazine.